Robin enjoys teaching beginners and encouraging all students to develop body awareness, healthy movement, and grounded confidence in their bodies. She completed the Advanced Yoga Teacher Training at Yogaspace in Toronto and is a professional member of the Canadian Yoga Alliance and Natural Health Practitioners of Canada. Her advanced and ongoing training focuses on Restorative Yoga, with additional certification in Yoga for Seniors, Yoga for Round Bodies, and Adaptive Yoga: Sit Stand or Wheel. At Red River Acupuncture, Robin offers small classes with plenty of individual attention and hands-on assists, sometimes adding a bit of body work into her classes. Before experiencing auto accident injuries, Robin was a massage therapist and reflexologist in Manitoba for over 20 years. However, due to injuries, Robin has adapted that aspect of her practice and has completed her certification in Thai Yoga Massage (with Navina Thai Yoga Therapy in Toronto). 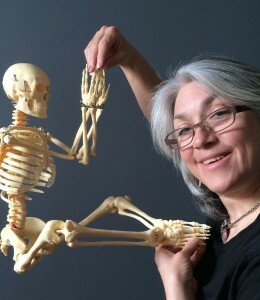 At Red River Acupuncture, Robin offers private individual and small group yoga instruction, as well as bodywork. Her sessions integrate techniques from Reiki, Reflexology, massage, movement, energy work, and Thai Yoga Massage. Robin also teaches on-site at community locations, including a seniors’ residence and the local hospital.